Apple has released tvOS 9.2.1 for the Apple TV 4th generation, and WatchOS 2.2.1 for Apple Watch. Both releases include bug fixes and minor feature enhancements and are recommended for the respective devices. 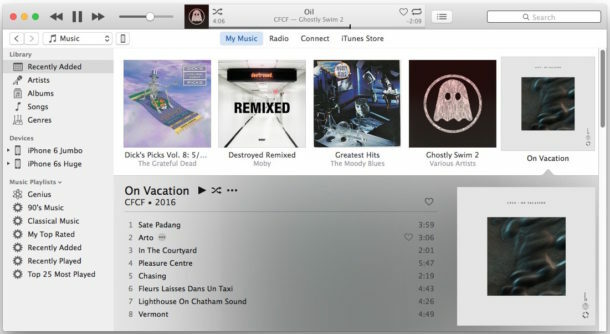 Additionally, Apple has released iTunes 12.4, which includes minor interface changes including a sidebar, and some other bug fixes to the media and iOS device management app. tvOS 9.2.1 can be installed on compatible Apple TV devices by going through the Settings app software update mechanism in tvOS. watchOS 2.2.1 is installed through the accompanying iPhone devices Apple Watch app through the devices own watchOS software update function. iTunes 12.4 can be downloaded through the Mac App Store, or through the iTunes app itself in Windows or Mac OS X. Users can also choose to download the update through the official iTunes website at apple.com/itunes. And that’s not all for software updates. iPhone and iPad users will also find iOS 9.3.2 available now to download, and Mac users will discover the OS X 10.11.5 update is available as well. Has anyone else that has updated to 12.4 seen this problem i have. I cannot find my iphone/ipad anywhere in the interface. Yet another poor apple update of iTunes, this is 2016 why are we going back to sidebars, why can’t I define the time period for recently added. I don’t want to have to keep swapping tabs, go back to a self defined recently added atop the album view. Far far too often are we getting iTunes interface updates that suit a member of the iTunes team at apple, but make it less intuitive for the rest of the world. Now that I have “upgraded” to the latest iTunes, iTunes will not open. Had to reboot multiple times before it would install. Now it does not work at all..
That may resolve the issue. You could also watch in Console log to see what’s going on and what fails when it attempts to launch. has anyone else noticed that iTunes 12.4 has scrambled all the “tracks” metadata – both in playlists & artist/album panes? did my Library take a hit (unlikely, since it’s on a RAID-1 external drive) or is this a new Apple feature (mythical track display)?